Methadone is a synthetic, or man-made, narcotic. It is one of a number of opiates or opioids manufactured for the medical use of treating heroin or opiate addiction as well as severe pain (usually reserved for patients with terminal illnesses such as cancer). 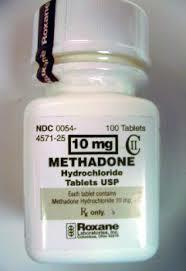 Methadone has been legal in the United States since 1947, used to treat the heroin addiction epidemic after WWII. It helps the patient get relief from the withdrawal symptoms that come with opiate addiction. Although it has been used for many decades to treat addiction, it has more recently been recognized as a drug frequently abused. Abuse of methadone can be dangerous and even deadly. Most of the signs of Methadone addiction are similar to other opioids. Just as most other drugs, methadone can be referred to by many different names on the streets and by addicts. These street names are generally used so that they be able to be referred to in conversations without raising suspicion. Abuse of methadone is very dangerous, and it should not be obtained anywhere but in a licensed clinic. The names and pronunciations will vary depending on the region, the addict or user, the vendor and the relationship between supplier and user. These street names and terms will change and evolve just as all others, but knowing them can help you determine if someone you love may be abusing this drug. Along with street names for drugs themselves there are also names for the actual illegal use of drugs (street and prescription) that may be used by an addict. Some of these include, pharming, tweak mission, piggy backing, SAM (in which the person is referring to a federal narcotics agent), and Author (in which the person is referring to a doctor who writes illegal prescriptions. If you hear someone you love using these terms they may be in trouble with drugs. Always keep your ears open especially if you suspect there may be a problem. Keep yourself informed and up to date by checking often. The internet can be a valuable place to find this information.